Twitter is now offering native ads to brand partners running mobile app install campaigns on the Twitter Audience Platform, the social giant is expected to announce on Thursday. “Native on the Twitter Audience Platform gives mobile advertisers the best of both worlds -- a unique, differentiated user experience within each app environment at programmatic scale [and] it’s as simple as checking a box,” a company represent said on Wednesday. The program potentially extends campaigns to reach an audience of around 800 million on Twitter and thousands of various apps. Apps with native ad inventory have been blowing up in recent years. Indeed, the category grew by 251% from the first quarter of 2015 through the first quarter of 2016, according to a recent report from Twitter’s mobile ad server and exchange MoPub. 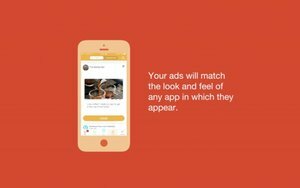 Encouraging advertisers to participate in the new offering, the native ads will use their existing assets. Twitter is only requiring that they check the “native” box when launching a new mobile app install campaign on the Twitter Audience Platform, at which point their ad content will be automatically reassembled to match each app’s unique design and layout. Further whetting advertisers’ appetites, Twitter has found (via MoPub) that native ads have 220% higher click-through-rates than on their 300x250 counterparts, while 58% of U.S. millennials say that they favor native ads. Twitter could use the additional ad revenue. Indeed, data recently emerged showing that ad agencies are increasingly bypassing the platform in favor other social networks -- Instagram especially. That might explain why the company recently slashed its second-quarter revenue guidance to $590 million from $610 million -- nowhere near analyst expectations of $678 million. Worse yet, eMarketer recently released a forecast suggesting that Snapchat will overtake Twitter in terms of domestic users before the end of the year.